Longtime Netflix communications chief Karen Barragan is leaving to head up PR efforts for Blumhouse. Barragan, who confirmed the news to TheWrap, served as VP for original series publicity and will replace Teri Everett at Blumhouse beginning next month as the head of marketing and communications. She will oversee both the film and TV divisions at the production company, which is behind films including “Get Out” and the “Purge” film franchise, as well as HBO’s “Sharp Objects.” Blumhouse films have generated more than $4 billion at the box office. Barragan spent the past six years at Netflix heading up originals PR at a time when Netflix was first getting into scripted content with series like “House of Cards” and “Orange is the New Black.” She’ll be joining Blumhouse as the company continues to push more into television and streaming. 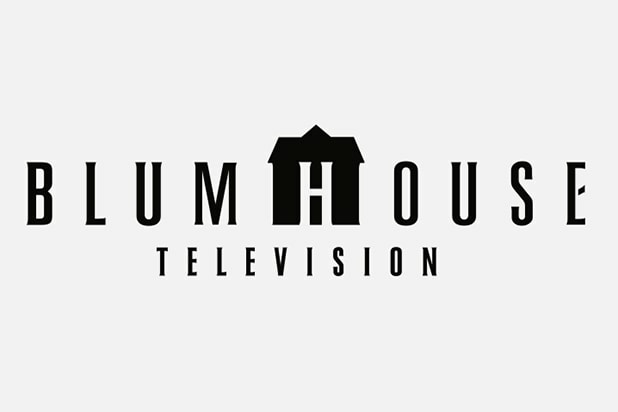 Last month, Blumhouse Television struck a deal with Amazon Studios to produce eight feature-length thrillers. The films will be released direct-to-service on Amazon Prime Video, and the two companies are committing to attaching diverse and underrepresented filmmakers to these titles. The deal marks Amazon Studios’ first-ever global direct-to-service deal for feature-length productions. With dozens of new titles hitting Netflix each month, it can be difficult to keep track of what to watch. 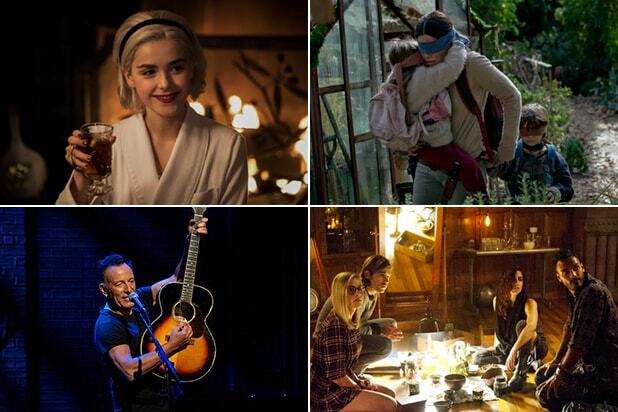 So TheWrap has compiled a list, updated each month, of the best new shows and movies to check out and which to watch before they're gone for good. Leaving Dec. 1: "Sons of Anarchy" Season 1-7 The hit FX drama from creator Kurt Sutter, which was later spun off into the currently airing "Mayans M.C.," stars Charlie Hunnam as Jackson "Jax" Teller, the leader of a outlaw motorcycle club in Central California. Arriving Dec. 2: "The Lobster" An absurdist comedy co-written and directed by Yorgos Lanthimos, whose latest film "The Favourite" hit theaters in November, "The Lobster" stars Colin Farrell as a man seeking a partner in a world where single people are transformed into animals. Arriving Dec. 7: "Dumplin" Danielle Macdonald stars as Dumplin', the plus-size, teenage daughter of a former beauty queen (Jennifer Aniston), who signs up for her mom's pageant as a protest that escalates when other contestants follow in her footsteps, revolutionizing the pageant and their small Texas town. Leaving Dec. 10: "Battle Royale" A stealth romance disguised as a bloody teen slasher, the Japanese modern classic "Battle Royale" centers on a group of high schoolers who are sent to an isolated island where they're forced to compete in a "Hunger Games"-style fight to the death. Leaving Dec. 12: "Trolls" DreamWorks Animation's 2016 film, based on the elaborately coiffed dolls popular in the '90s, stars Anna Kendrick and Justin Timberlake as a pair of trolls who embark on a mission to rescue their village from a troll-eating monster. Arriving Dec. 14: "Chilling Adventures of Sabrina: A Midwinter's Tale" A holiday-themed episode of the Netflix original series, "A Midwinter's Tale" picks up as the winter solstice approaches, as Sabrina orchestrates an emotional séance with serious consequences and Susie's merry plans turn menacing. Arriving Dec. 14: "Roma" Alfonso Cuarón's latest Oscar contender chronicles a tumultuous year in the life of a middle-class family in Mexico City in the early 1970s. Leaving Dec. 15: "Step Up 2: The Streets" The second installment in "Crazy Rich Asians" director Jon M. Chu's dance movie franchise, "Step Up 2: The Streets" stars Briana Evigan as a street dancer who finds herself caught between two worlds when she's recruited to a prestigious dance school. Arriving Dec. 16: "Springsteen on Broadway" A filmed version of the stage show based on his best-selling autobiography, Bruce Springsteen performs acoustic versions of his music and shares personal stories. Arriving Dec. 18: "Ellen DeGeneres: Relatable" Filmed at Seattle's Benaroya Hall, Ellen DeGeneres makes her return to stand-up after a 15-year hiatus for a new Netflix special. Arriving Dec. 18: "Terrace House: Opening New Doors" Part 5 In the latest batch of episodes from Japan's gentlest reality show, Takayuki and Aya keep going on dates, but Takayuki's heart may be set on someone else, and new member Shunsuke begins a journey of self-discovery. Leaving Dec. 20: "Moana" Featuring songs by "Hamilton's" Lin-Manuel Miranda, Disney's "Moana" centers on the strong-willed daughter, straining at the confines of her Polynesian island, who is tasked with tracking down the demigod Maui (Dwayne Johnson) to save her home. Arriving Dec. 21: "Bird Box" Set five years after a wave of mass suicides decimates the population, "Bird Box" stars Sandra Bullock as a mother of two children who embarks on a desperate, dangerous quest for sanctuary. Arriving Dec. 24: "The Magicians" Season 3 Syfy's zany adaptation of the popular series of Lev Grossman novels centers on a group of students at a secret university for magicians as they grapple with everything from bad hookups to murderous trickster gods to fairies who try to take over the world. Arriving Dec. 25: "Avengers: Infinity War" The first part in Marvel's decade-in-the-making superhero team-up unites nearly every hero from the franchise's 20 films in a showdown against the world-destroying villain Thanos and features one of the biggest cliffhangers in cinematic history. Arriving Dec. 31: "The Bill Murray Stories: Life Lessons Learned From a Mythical Man" Tommy Avallone's 2018 documentary investigates the mythical encounters everyday people have had with Bill Murray, from photobombed wedding photos to crashed house parties.